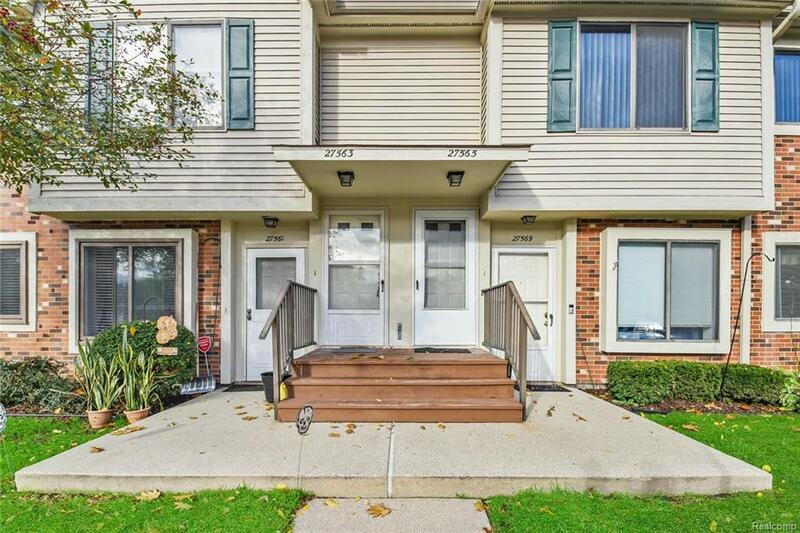 Convenience and comfort at an affordable price in Harrison Township! This second-story flat features a private entrance, vaulted ceiling, open layout, 2 spacious bedrooms, and a balcony overlooking a lush yard! Condo living means all of the privacy, and none of the maintenance - groudskeeping and water(?) are included in the monthly dues. You'll also have a covered parking spot and private laundry here! Living at Harrison Woods makes for an easy commute on I-94, and most major services are less than 2 miles away. Within 5 miles you have over 70 dining options in a variety of cuisines, and within 10 miles you have 20 golf courses, and 7 parks, including 938-acre Lake St. Clair Metropark, featuring 2 marinas, several launch ramps, swimming pool and waterpark, beach, and more!